Many Americans offer prayers for Memorial Day services. Prayers are an expression of gratitude and faith, and a practice recognized by people of a multitude belief of systems. 6 Amazing Firefighter Monuments to Visit in the U.S. The Cinnamon Challenge is one of many dangerous dares that spread like wildfire thanks to social media. Despite the fact that many well-known people have attempted the challenge and survived, this is a dangerous act that can make you sick. Finding an old obituary can be a bit challenging, but a number of resources are available. You have the option of searching online or using off-line sources to find the information you need. If you're planning a truly special memorial service, get inspired with these unique funeral picture display ideas. From collages to creative table decorations, these photo displays will help everyone remember that important person. The last social security payment issued after death will occur the month the person passes away. Subsequent payments will need to be returned to social security. After a person dies, it can take anywhere from one day to a few weeks for the official death certificate to be completely processed. Turnaround times vary by location, type of death, and when the person died. Memorial death sayings are uplifting phrases, poems, or statements that help people remember and honor the deceased. This article will give you some ideas to use if you need to prepare a memorial. United States war memorials are erected as prominent ways of acknowledging and honoring those who have sacrificed their lives for their country. 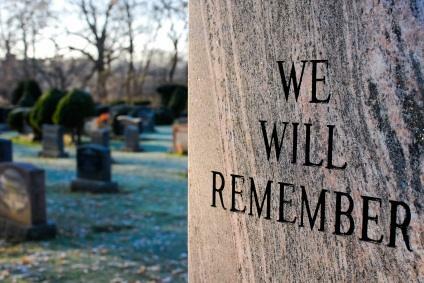 People visiting memorials can reflect on the lives lost and the need to avoid future conflicts. Although most Americans know about the Vietnam Memorial, facts about its history, design, and construction are less well-known. The memorial has a rich history alongside ample controversy. According to the World Health Organization (WHO), over one million teenagers die every year around the world. Many of these deaths are preventable by medical treatment, mental health interventions, or life skills training. Have you ever taken a minute to ask yourself why we celebrate Memorial Day? The holiday is much more than just a three-day party weekend declaring the beginning of the summer season. Learning about memorial services, obituaries, and how they relate to the loss of a loved one will only help you when a close friend or family member passes away. Having a physical reminder and keepsake of the event at the end of that person's life will help you find some closure.